Supporters want a tank installed on JNU’s campus to instill nationalism in students. Students are pushing back. Last week, Kargil Day was celebrated across many places in India to commemorate the soldiers who died in the Indo-Pak war at Kargil in 1999. One site for commemorations was Jawaharlal Nehru University in Delhi. Popularly known as JNU, the university came into limelight for the wrong reasons last year, when three students were charged for sedition for shouting “anti-India” slogans on the university premises at an event on February 9, 2016. Kargil Day is celebrated on July 26 every year but at JNU, it was celebrated three days earlier, on July 23, a Sunday. July 23 was a public holiday, so the event could be attended by large number of students. The event started with the Indian flag march, with JNU faculty, students, ex-army members, and the relatives of Kargil martyrs joining the march. The Indian flag was huge, 2,200 feet long and specially made for this event. The university also set up a Wall of Heroes, where the portraits of 21 Param Vir Chakra Awardees are exhibited. Param Vir Chakra is the highest military decoration awarded to those soldiers who display distinguished acts of valor during wartime. Widows of soldiers killed during the Kargil War attended the event. Such symbols of “nationalism” at the university have been a matter of public debate and scrutiny since the last year’s February 9 incident. A perception has been successfully created among the public that the students of the university are “anti-nationals.” The opposing view is that students of JNU are being specifically targeted for the ideologies they hold, which oppose the government’s ideology. The university is a bastion of “leftist thinking,” and one of the last remaining in the country. The idea of holding a Kargil Day celebration at the university was to “instill the feeling of nationalism” among the students. As per Kumar, the tank would instill “love for the army” among JNU students. Objections were raised by some students, civil society groups, and media outlets when they heard about this. Some students said that one can’t “force nationalism” on anyone or force someone to “love the army.” Others mentioned that battle tank would change nothing, as they already respect the nation and therefore, there is no need to put a tank on campus. 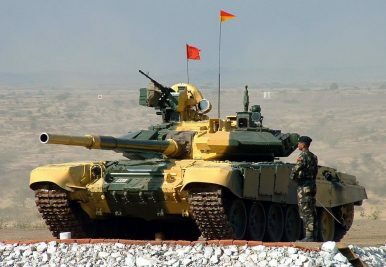 Listening to this viewpoint, TV anchors and political party spokespersons started declaring the JNU students “anti-nationals” again and said that only “anti-nationals” could have a problem with placing an army tank on campus. Some of the editors of prominent news channels went on to say on air that battle tanks must be put on the JNU campus, which will act as a “constant reminder” to the students that they are living safely because of the sacrifices made by the security forces at the border. The event was attended by famous Indian cricketer Gautam Gambhir. He remarked, “I believe in it [freedom of speech] but there are certain things, like the respect of the national flag, which are non-negotiable.” No one should speak against the army, he said in his address. The debate around putting a battle tank in the campus has heated up in the last week. As the new session in the university has started and the student elections are going to happen soon, this issue will continue to be in the limelight. Martand Jha is a Junior Research Fellow at School of International Studies, Jawaharlal Nehru University. Student Protests and Ideological Bullying at Indian Colleges: What's the Deal?Modi's New Mantra: 'If You're Not With Me, You're Anti-National'Afghanistan: Prospects and Challenges to Regional ConnectivityPakistan’s Economic Woes: The Way ForwardIndian Elections 2019: Do Narendra Modi and the BJP Deserve a Second Term?